With over a decade of experience in corporate communications and integrated marketing for one of Northern Ireland’s leading energy suppliers, Angeline has garnered a wealth of experience in the ever changing world of communications – specialising in both internal and external communications. 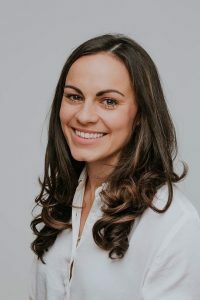 Angeline began forging her career within IT as a marketing assistant before diversifying into the utilities sector, progressing rapidly to Marketing Manager where she now leads a team of multi-disciplinary marketing professionals. A Chartered Marketer with the Chartered Institute of Marketing (CIM), Angeline is responsible for developing and delivering the company’s integrated marketing and communications strategy. As a locally based organisation, Angeline spearheads a tailored communications approach to stakeholder groups and the communities in which firmus energy operates. ‘‘firmus energy operates in over 30 towns, cities and villages across the province. The beauty and challenge to this is that every community is different. Taking the time to get to know the key pillars of each community will go a long way to building relationships and doing good business.’’ Angeline Murphy MCIM, Marketing Manager, firmus energy. Outside of the corporate world, Angeline is kept on her toes by her 18 month old son Luke and husband Feargal. Angeline expresses her creativity through her passion for fashion design and home sewing, and has appeared as a finalist on the BBC’s Great British Sewing Bee television programme, attracting over 4.5m weekly viewers globally.